This list shows each mobile app asset page to indicate our flexibility and diversity. We have covered every eventuality and if we haven’t we can adapt. The mobile app is bespoke once your graphics and images are added. Drive more traffic to your restaurant, hairdressers, chiropractor, motor mechanics or any other business that has the need for regular or annual appointments. We have a mobile app asset page for all businesses. Increase revenue by letting users make a reservation or booking right through the app. If you have multiple locations, users can book for any of the locations and that location manager will receive an email notification to confirm the booking. This feature will enable you to share with your users the place and date of your events. You can integrate with iCal, Facebook events or create a custom page for your event. Make sure users never miss your big day by letting them track your events and purchase tickets or reserve tables or space via online ticketing platforms integrated with your mobile app. Showcase your complete range on a mobile device. Show the same as displayed on your website with our Mobile App asset page. Create product catalogues to display your merchandise, colours, sizes and service. Divide your products and services into categories and sub categories. There are multiple design interfaces to display your products in an attractive and sleek grid or list. Create stunning digital catalogues and brochures with this feature. Impressed visitors that get answers buy more. Sell more with mobile e-Commerce in your app using our mobile app asset page Store Builder. The Commerce feature enables you to create a fully functional store to sell your products from one or several points of sale. Your store will have an attractive functional shopping cart affording a seamless shopping experience. Users will be able to pay online via Paypal or credit card (stripe & 2checkout), or to pay at your point of sale or when they are delivered (cash or credit card). The robust order management system enables you to fulfil and keep track of orders. You can have multiple stores and multiple vendors. Mobile e-Commerce is said to exceed $40 billion pa to-date. Make it easy for your App users, clients and potential clients to get in touch. Offer them an all in one feature. They can call, email, or visit your website, Facebook page, Twitter or find your business on a map. Depending on the type of business you have, you can ethically increase the purchasing frequency of your clients. Rank them based on their patronage or loyalty. (This feature will work only if a loyalty card is integrated in the application). The more points a user gets, the higher his level in the ranking can be. You can make the results available to increase the competition and the leader or first to reach a certain goal gets the prize or gift. Some thought will need to go into this to make it fun and not distasteful and it may not be of interest to certain businesses but it is something that’s available. If it can be done sensibly then the more the challenge and the gift value, the more the more the challenged users will come back to dethrone the leader, and the more the leader will come back to consolidate his rank. The period of a game could be a month or a week. After this period the game will restart with counters reset to zero. You can call your contest any swag name and you set the rules. This page allows us to do virtually anything. A robust Content Management System that enables us to create and design custom pages inside the mobile app. You can drag and drop different elements like custom slider, text, images, buttons (links, phone call), videos (YouTube, Vimeo, podcast, mp4), and other elements. With this feature, you can easily create stunning pages like About Us, How It Works, Articles, etc., exactly how you would on a website. Drive more traffic to your store and increase sales by offering app users coupons and special offers for your products or services. You can create different unlimited discounts and special offers to promote your business and attract new customers. Users must login to your app to claim an offer. You decide the expiry date for each special offer and whether each user can claim a special offer once or multiple times. This feature enables you to add a direct link to your Facebook page to keep your customers, fans and prospects updated on all your latest news. It’s an effective way to reach new users and build your mobile community. You can advertise your App through Facebook. We’ll help you with that. With this mobile app asset page feature, we can create a community so users of your application will be able to post comments and/or photos and to discuss among themselves. You can set the “Near me” settings so your forum will allow a user to display only comments/photos from users around him, in the radius you have determined. With this, you can grow and nature a tribe around your service, product, brand, or ideology. Create a Form to provide users with an easy way to communicate with you right through the app. This feature enables users to send feedback, report issues, ask questions, submit application or join your mailing list, as well as share locations and upload photos. submissions are set to preset email address. With this feature, you can create a beautiful gallery to post photos of your restaurant dishes, products, company, team, or events by easily connecting your photo-sharing services (picasso and instagram) or uploading the pictures from your computer. A picture is worth a thousand words! The In App Messages feature allows you to display a message to users that are currently using your application. You can also add an image that will be displayed on the screen of your users. You can either set your message to be sent right now, or you can program it to be sent at a specific date and time. You can send to all users or users within a location (Geo fencing). Advertise any vacancies you may have and wish to make known to your community and save advertising or agency fees with a bespoke mobile app asset page that can contain all the information you need. Add this feature to enable users to open external web pages right through the app. For example, if you’re a charity organisation, you can include a link to your fundraising page. This is also how you display a webpage or website in your app. We just enter the link for the website. When users open this feature, it will wrap the webpage or website link nicely. This mobile app asset page provides users with a list of links to useful resources or external web pages that may interest them. For example, for an event app, you can include links to sponsors’ websites. Add a Loyalty Card to your app to increase customer loyalty and encourage repeat business. Users collect stamps each time they make a purchase and get rewards when they complete the card. Turn one-time shoppers into loyal customers by rewarding them for choosing your store time and time again. It’s a great way to keep users coming back for more! This is very popular with coffee shops. For example, “buy 5 and get 1 FREE”. Here 5 loyalty points gets 1 free coffee. Each time you buy a coffee, the card is validated with a loyalty point. 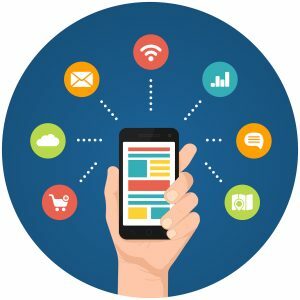 Your client must show his mobile app asset page on his smartphone and the Authorised person will enter his four-digit password to validate a point. Starbucks famously spent a fortune on their app to provide this function. This asset page feature enables us embed your Magento store on your app. Just enter the link to your Magento store and it will display in the App. Display the exact location of your business, event, or office right on the app, making it easy for users to get direction. By making yourself easy to find, you do both your visitors and your organisation a tremendous convenience. Visitors in a better psychological condition by cutting out the frustration trying to find their way to your store, restaurant or offices. This feature is for content restriction. With this, you lock your app completely or in part. The locked content remains accessible for authorised users only. There are two options to unlock the Padlock and grant access to the whole applications to registered users. With this feature, we can create a list of geolocated places and have them displayed on a map. If the user opens a location, he will be able to get the path and directions to this location, by walking or driving. The listing of the locations is sorted according to the distance between the locations and the user, from closest to farthest. A multi chain restaurant, supermarket, franchise, etc can use this to list all their locations and users will see the one closest to them with directions. Prestashop mobile app asset page is for commerce software available, used by online businesses to sell direct to the public. This feature enables us to embed your Prestashop store on your app. Just enter the link to your store. With this feature, we can add a radio streaming inside your app. All you need to do is insert your stream url. Works well with different types of stream sources like radio.co, SHOUTcast, mixlr, etc. A powerful feature for DJs, motivational speakers, coaches, authors, artist, etc. With this mobile app asset page feature, we can add chatrooms to your app. You can create public room and let your users create their own private chatrooms. Your app users can add friends for chatting, block/unblock users, instant messaging, one-to-one chat and group chat. Users can send Text and Images. We will be able to add audio and video messages later. With this feature, we can integrate feeds from blogs or news websites either from the business for which we’re creating the app or other sources related to your business or both. We can create as many feeds as you want. When appropriate, you can give your customers another reason to visit your business by offering a fun chance to win great prizes! This mobile app asset page let’s them try their luck with a scratch card. We can show you how this works but you can set your reward or gift for the jackpot. Choose how many users can win, set the maximum number of times a user can play, choose the odds that a user has to win the reward (the higher the percentage the more for a user to win). You are in complete control and just need to enter the email address on which you want to receive a notification when a user wins. This feature can be used for creating menus or bundles for a restaurant business. We can create as many menus as you want and add as many items as you want to each menu using this template or we can redesign the whole thing by using a custom page. This feature enables us to embed your Shopify store on your app. Just enter the link to your Shopify store. This feature enables us add a custom code or HTML widget to your app. Need a feature that is not in the App, not to worry just let us know or get a developer to write a custom code and we can paste in here. If you already have an existing application, you can create a widget that can make your mobile app communicate with your application. This mobile app asset feature allows users to calculate tips. Enter the amount of bill, percentage of tip, the number of people and click calculate and it calculates how much the tip could be. This feature allows us to create Topics users can subscribe to, so you can send Push notifications and In App Messages only to those who have subscribed. With this you users can opt-in in and have content pushed to them. (religious devotionals, alerts, gym training, new post notifications, tips, etc.). You can add as many topics as you want and you will be able to send messages (through push notifications and inbox messages) to only users who opt-in for a topic. Showcase your marketing videos, how-to videos, tutorials and more by connecting your video channels. We’ll be able to integrate videos from YouTube galleries, Podcast and Vimeo. This feature enables us to embed your Volusion store on your app. We just enter the link to your Volusion store. This feature enables us to offer a weather widget in your app to display the forecasts for a city or to the users to pinpoint their locations. This feature enables us to embed your Woo commerce store on your app. Just enter the link to your Woo commerce store. WordPress feature allows us to integrate the content of a WordPress blog in an application. All we need to do is download the App WordPress plugin, install it on your WordPress site and connect it.